Reports suggest that dark mode is finally coming to WhatsApp. The Facebook-owned messaging platform has reportedly been spotted running its dark mode in its latest beta. Facebook Messenger already has a dark mode, and now it appears that the company is working on bringing the feature to WhatsApp as soon as possible. According to WABetaInfo, WhatsApp recently submitted its new update featuring dark mode to its Google Play Beta Program. The report shows the latest screenshots of the WhatsApp beta app, which is version number 2.19.82. The images reveal the new dark mode spread across all the primary settings panel of the app; however, the dark mode across the individual chats hasn’t yet been revealed. Dark mode reduces the full display pixel utilization of the app, especially for AMOLED and OLED smartphones, and thus helps reduce battery consumption. Many apps like Twitter, Reddit, Telegram and Facebook's Messenger already have the feature. This report suggests dark mode on WhatsApp is still under development and an official rollout date is still not known. The latest WhatsApp beta version also includes showcasing audio file names that are being shared or forwarded within the conversations. 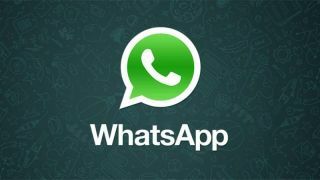 WhatsApp has also been working on showcasing the number of times an individual message has been forwarded, which is expected to be useful in tackling the spread of fake news via the platform.